Remembered as one of the first American women to participate in missionary work abroad, this teacher and writer was the subject of more than fifteen biographies. She traveled to both India and Burma and wrote about the plight of Burmese women during the First Anglo-Burmese War. Born in Massachusetts to a missionary father, she pursued an early career as a teacher. Her husband, suspected of espionage, was confined to a Burmese prison for more than a year and a half. 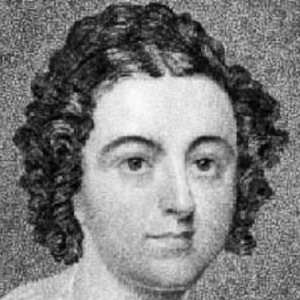 She married fellow Baptist missionary Adoniram Judson in 1812. Her first pregnancy ended in a miscarriage, and she went on to have two more children, both of whom died well before reaching adulthood. She was inspired to become a missionary after reading Scriptures on the Modern System of Female Education, a work by the late eighteenth-century religious writer Hannah More.